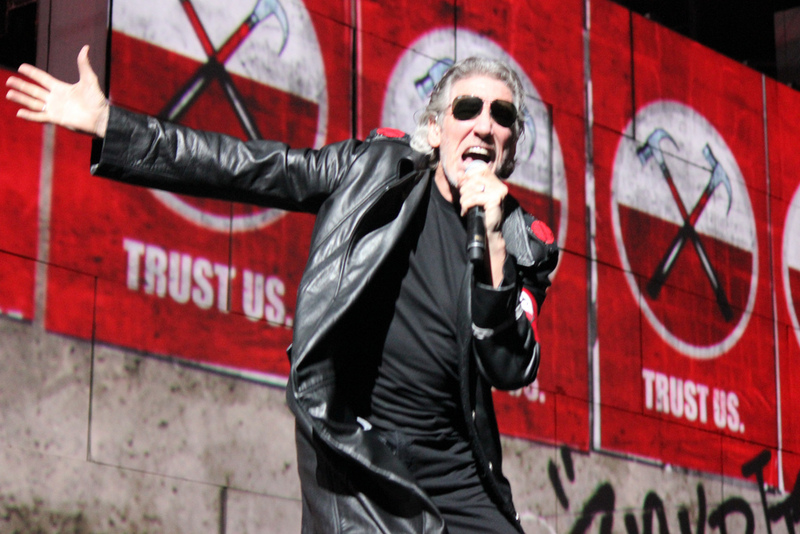 Roger Waters, a founding member and visionary songwriter of progressive rock band Pink Floyd, has created a wildly innovative live experience to accompany the latest reinvention of the classic album, “The Wall.” Timeless music, cutting edge technological accompaniment and larger than life twisted characters make Mr. Waters’ wild ride a trip not to be missed. Excited fans piled into the sold out show at the Amway Center in Orlando on Saturday June 16, and marveled at the innovative stage design. 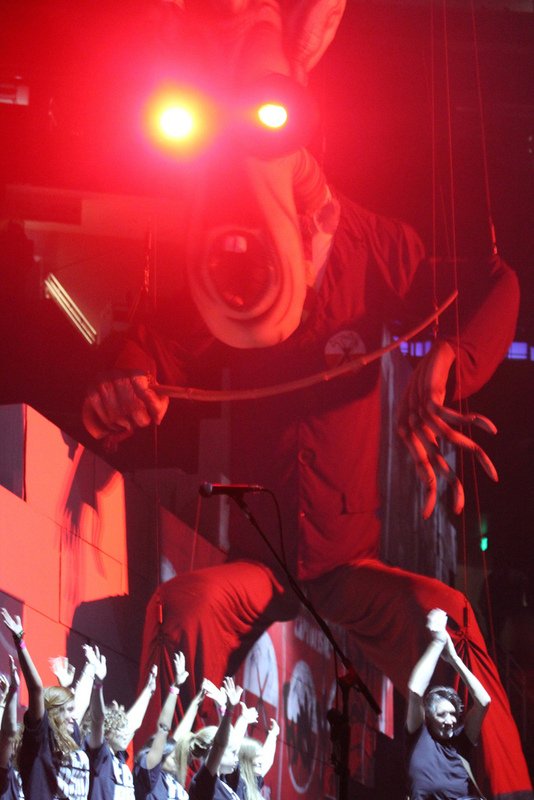 Sections of the unfinished wall took up the sides of the stage revealing the band set up and ever recognizable spot lit circular video screen, well know from other Pink Floyd tours in the past. Throughout the first half of the production blocks are pieced into the wall from behind. Each individual brick of the wall became a small projection screen that seamlessly blends with the original wall fragmented sections. The small sections then begin to work together to create a giant living video projection capable of seemingly limitless visual potential. Visual accompaniments with increasing complexity on the wall are a perfect addition to this tour that raises the bar of what an immersing musical experience should be. 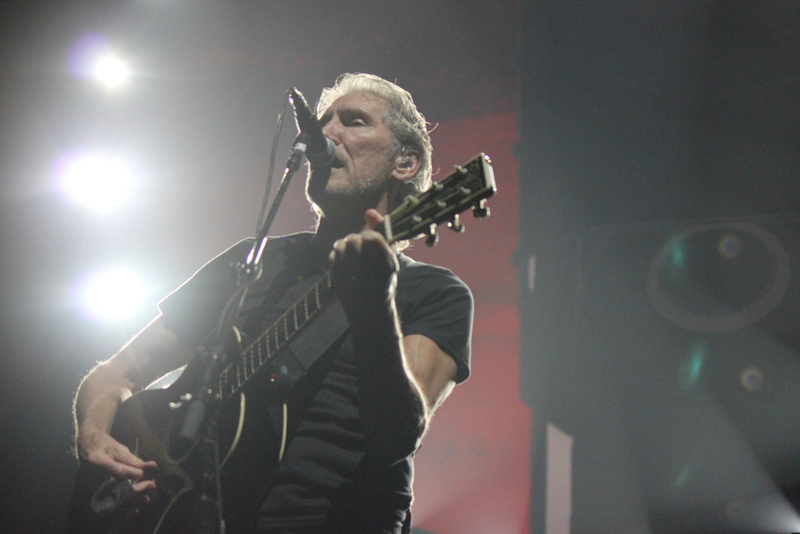 “I grew up with his music, but until now I didn’t fully realize how amazing he is,” said audience member Lisbeth Paul. Large sections of the wall then began to tumble down and pile up center stage, as smoke and bright red confetti filled the air. “It’s better than anything I could have ever anticipated,” said delighted Waters fan and social studies teacher John Puchein. Waters and his band were given a deafening applause that continued for several minutes after the final acoustic performance of the epilogue song, “Outside the Wall.” Both audience and performers expressed a genuine feeling of love and admiration during this long and bittersweet goodbye. “The Wall Live” tour began in September 2010, and is currently scheduled to end next month in Canada. 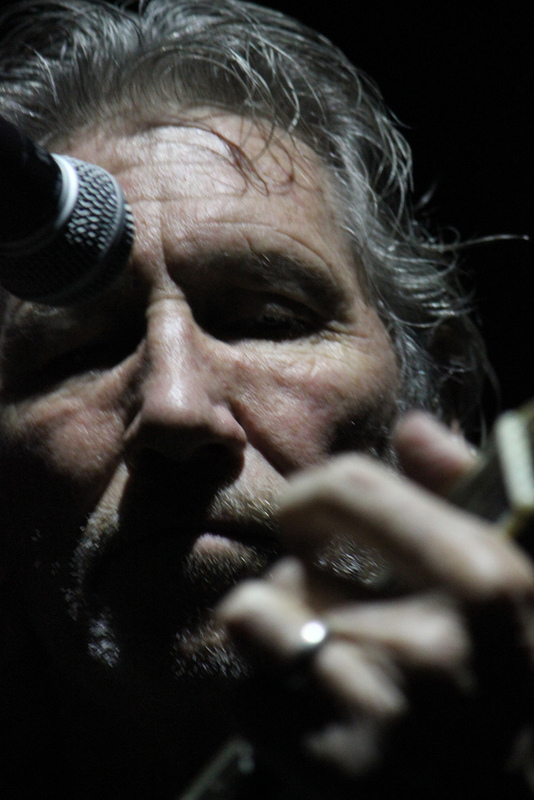 Waters has stated in several recent interviews that this will be his final tour.